Subtle design details, the highest quality materials and artful execution have been combined to create our Madera platform bed. 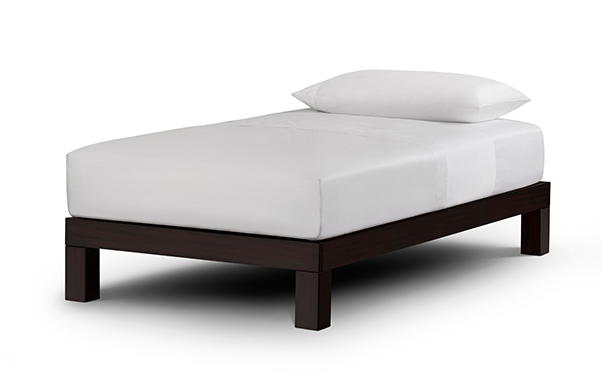 Entirely handcrafted from solid, plantation grown Mahogany, it's attractive and strong contemporary bed frame solution. Upholstered platform sits flush to the frame and is padded for comfort and non-slip mattress support. 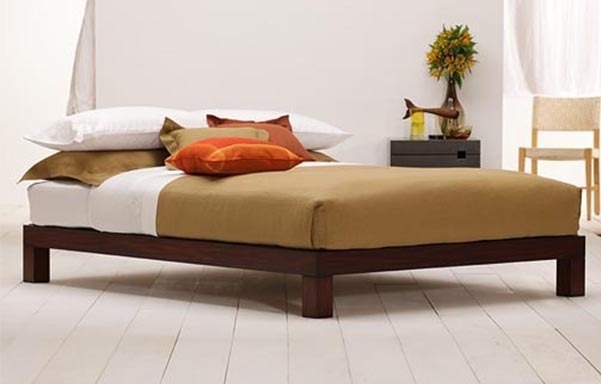 Review: "I have ordered two of the Madera platform beds, one in queen and one in king, both in tiger mahogany. This is an exceptional bed. The wood is stunning, and the platform panels are upholstered beautifully. Having a truly solid foundation as opposed to wooden slats is something that gives me peace of mind in terms of protecting my mattress, but also adds comfort and function in that my mattress doesn't move around unless I want it to. The bed is also an excellent height for under-bed storage and mattress elevation. I have assembled and disassembled the bed multiple times, and it takes only 10 minutes or so both ways with very few steps, which is remarkable considering how solid and secure it is once put together."